This fantastic blend of milled organic flaxseed, pumpkin and sunflower seeds is great for those who are passionate about natural beauty. It contains dietary fibre, zinc, omega 3, iron, protein and vitamin B1 as well as 25% of your recommended daily allowance of Vitamin E in just one serving – perfect for great nails, skin and hair. Simply add to almost any food for a tasty, nutritious crunch. Product is packed in a plant where sesame seeds, nuts, soya and sulphites are handled. 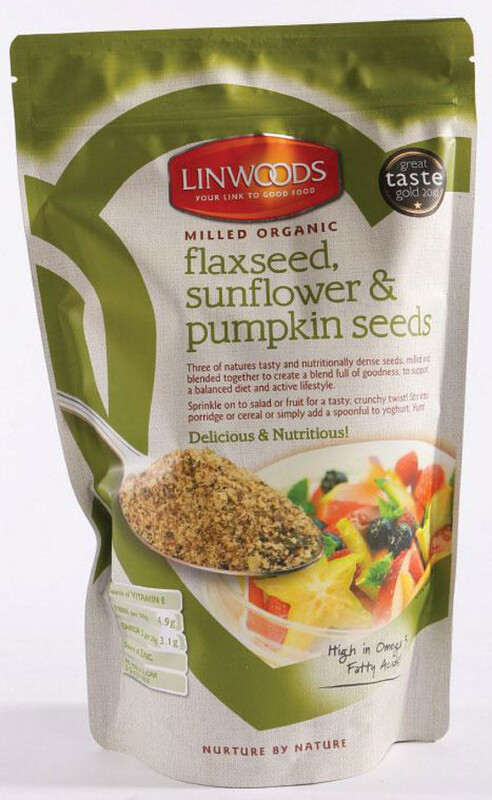 The Linwoods Flax, Sunflower & Pumpkin Seeds - 425g product ethics are indicated below. To learn more about these product ethics and to see related products, follow the links below. Great taste. I use to top my breakfast cereal. Very nice and healthy addition to my diet.rnThe packaging is quite big so lasts a while even though I use it every day. Use this on my breakfast cereal daily. Mixes well with other cereals.As I'm a vegetarian it's a good way of getting some of my essential fatty acids. 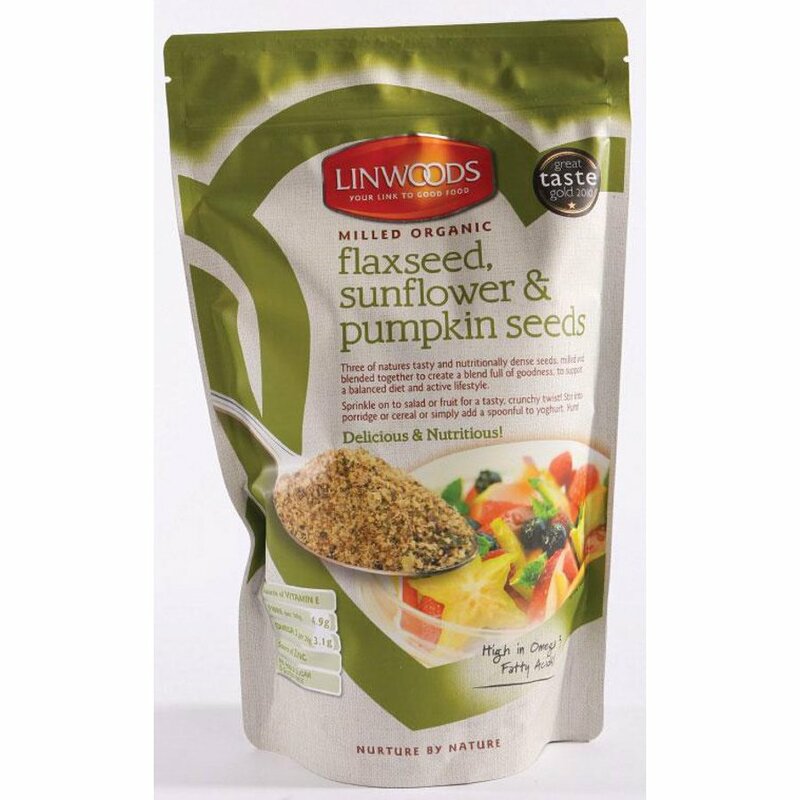 There are currently no questions to display about Linwoods Flax, Sunflower & Pumpkin Seeds - 425g. Linwoods is a business with over 30 years’ experience that manufactures a range of Premium Bakery, Fresh Dairy and Healthy Super Food products. They are based in County Armagh and distribute their Healthy Super Food range throughout Ireland, UK, Spain and Holland. Linwoods strategy is to bring organic, healthy and more nutritious products to consumers. Their health super food products boast a range of health benefits, including immunity, strong bones and boosting vitamin D.